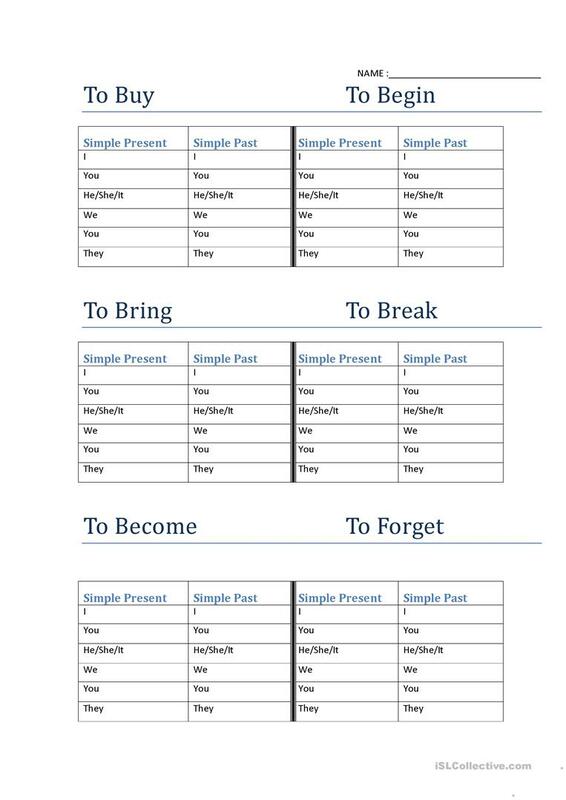 Simple Present and Simple Past fill-in-the-chart drill. 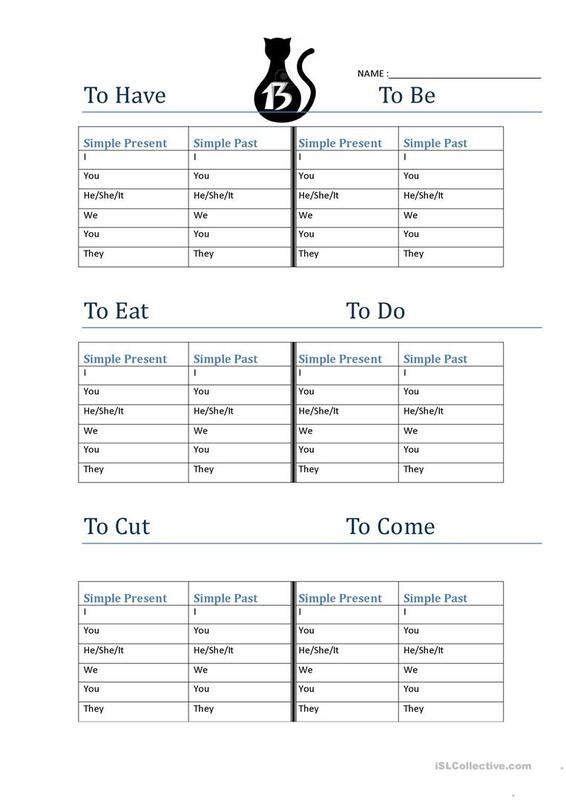 This printable, downloadable handout was created for high school students and elementary school students at Beginner (pre-A1), Elementary (A1) and Pre-intermediate (A2) level. It is aimed at consolidating in English, and is excellent for developing your class' Writing skills. mrsdes is from/lives in Canada and has been a member of iSLCollective since 2012-10-03 23:27:34. mrsdes last logged in on 2019-02-27 19:55:03, and has shared 5 resources on iSLCollective so far.